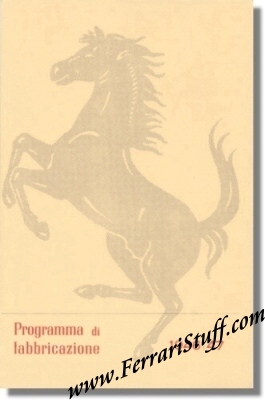 Ferrari factory original Ferrari Programma Di Fabricazioni 1946 / 1947 Brochure. 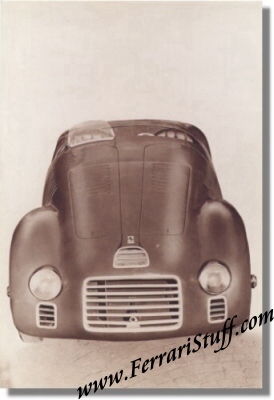 This Ferrari brochure is a factory reprint of the 1946 brochure. 8 Pages with B&W (Sepia tone) photograph of the Ferrari 125. Ferrari Print Number 724/92, issued in 1992.